Spoil your recipients with an abundance of fresh baked goodies from Acorn Baking Company. 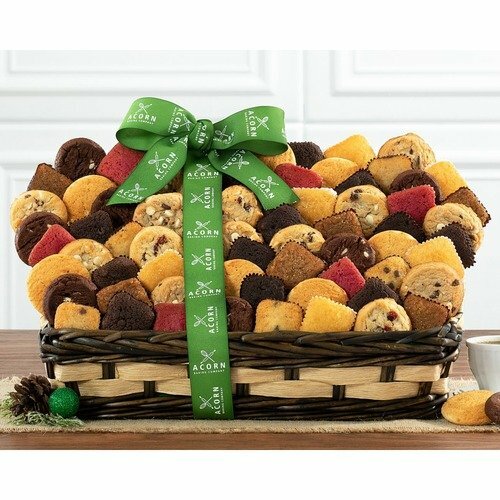 These delectable baked cookies and brownies taste just like homemade and come nestled in a classic gift basket and individually wrapped. 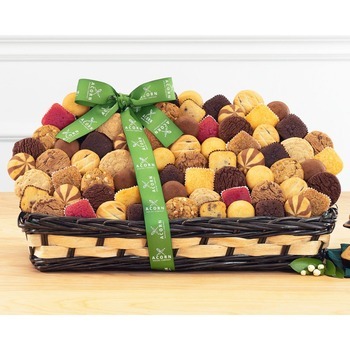 A complete collection of delicious soft cookies and brownies including chocolate chip, peanut butter, oatmeal cinnamon raisin, fudge nut brownie, sugar cookies and double chocolate. * The site was easy to navigate and the assortment of flowers was great.